Thanksgiving is getting closer by the day. Have you started planning? I love planning holiday meals, holiday baking, holiday eating, holiday leftovers, you get the point. 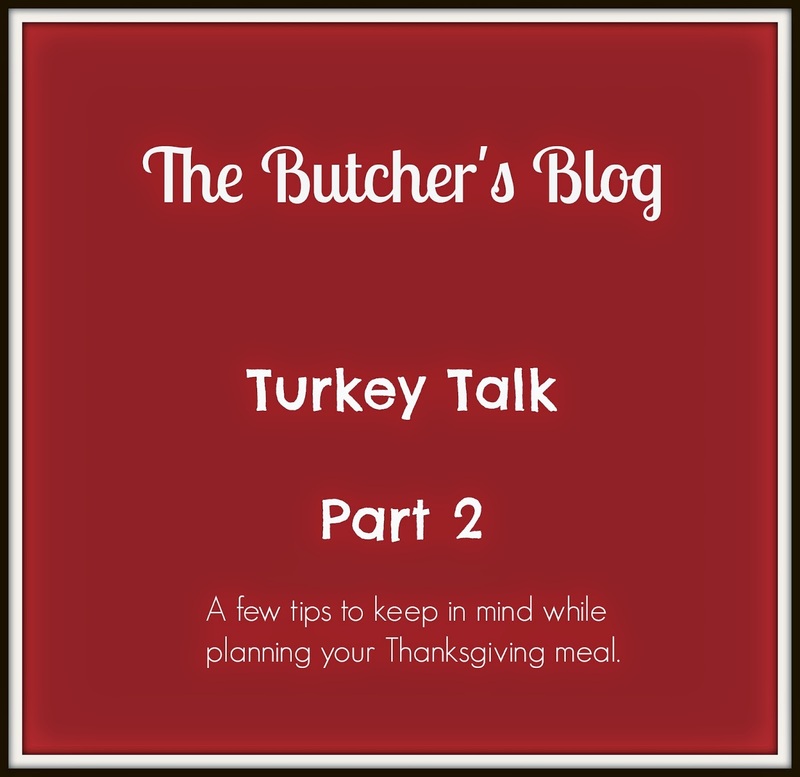 Since the fourth Thursday of November is drawing near, I sat my hubby/butcher down and asked a few more questions about the topic of turkeys. He was very patient with me and my constant interruptions while he was watching Castle. There are various types of turkeys and for some people it may seem a bit overwhelming. We decided on a few of the most common types and described them below. I hope it is helpful. typically this type of turkey is fresh rather than frozen. A fresh turkey has never been chilled below 26 degrees Fahrenheit. Toms are male turkeys. Typically if you want to purchase a larger bird with a lot of breast meat you should go with a Tom. Toms are typically around 18-20+lbs. Hens are female turkeys and usually weigh much less than a Tom. There is not a difference in taste when it comes to toms vs. hens, it really is just about the size. Remember, these are not the only types of turkeys but the most common. 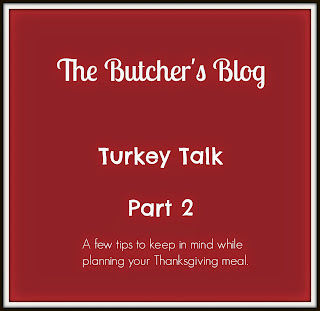 You will need to place your order with a weight or size of the turkey in mind, knowing that the butcher will do his/her best to get close to that weight. For example, if you order a 14lb. turkey you may receive a slightly larger or smaller bird based on what is delivered. It is always best to up your estimate to insure you have enough for your guests. The weight ranges are typically 12-14lbs., 16-18lbs., and so on. It is best to place your order as soon as you decide on your weight and number of guests. Waiting until the last minute may mean you have to take what is left which may not be what you had in mind. Let me put it to you this way, my husband was already taking customer orders for Thanksgiving turkeys in October. Wow! Putting in a Pool - Week 12 and Almost Finished!